As in many small communities, the entire town of Carlinville acts as a huge park, with an abundance of runners, bikers, and walkers navitating the town via tree-shaded boulevards and side streets that comprise the three-square miles of land within its city limits. Strong efforts are currently underway to erect a bike trail from Carlinville to Beaver Dam State Park. Five city parks provide an abundance of recreational opportunities. Loveless Park Sports Complex is a multi-sport facility located on the southwest portion of town. Full-size and half-court soccer fields, baseball and softball diamonds, basketball courts, batting cages, a walking and fitness trail, playground, concession stand, and picnic pavilion are just a few of the highlights. The park has lighting for evening games and has hosted several regional and national tournaments. There are four smaller neighborhood parks. Tower Grove on the south end is currently undergoing a total transformation. The Legion Home on the southeast side of town offers ball fields, a small pond for public fishing, and a great sledding hill in winter. Denby Park on the west side has a small skate park, as well as a playground, basketball court, picnic pavilion, and ball field. Tom Thumb in Standard Addition (northeast) has ball fields, playground, and picnic tables. Loveless Park playground features a climbing wall for the kiddies. Public swimming is available at the Carlinville City Pool as well as Carlinville Lake. The pool is open daily from noon to 6 pm from Memorial Day weekend to mid-August. Cost to swim is $3 per person. Lifeguards are on duty at all times. Annual passes, pool parties, and swimming lessons are available. Carlinville Lake opens Memorial Day weekend and closes Labor Day weekend. Swimming is available from dawn to dusk. There is no fee to swim at the lake; however, it is swim-at-your-own-risk with no lifeguards on duty. Several fitness clubs provide additional methods for keeping fit. D&D Fitness at the Carlinville Plaza offers personal training, fitness classes, spinning, cardio equipment, and free weights. Fitness A Go-Go offers fitness classes that run the gamut from Pilates and yoga to REV, TRX, and Zumba. Snap Fitness offers free weights, cardio equipment, strength training, and personal trainers with 24-hour access. Two man-made lakes lie a few miles south of town. In addition to supplying water for the town, they offer boat launching, fishing, swimming, and camping. Information concerning schedules and openings may be obtained by contacting the caretaker at (217) 854-8931. The covered pavilion at Beaver Dam State Park. Located 7 miles southwest of Carlinville in an oak/hickory woodland, Beaver Dam State Park offers a variety of recreational activities on its 750 acres. Among the most popular activities are picnicking, nature study, hiking, and tent and trailer camping. The 59-acre lake provides boating and fishing, with the lake well stocked with largemouth bass, bluegill, sunfish, and channel catfish. A free boat launch and docks are available for public use; no gas engines are allowed. A concession stand on the lake that once offered a full-service restaurant, boat rental, and bait shop is currently closed and in search of an operator. Eight miles of hiking trails lead walkers through forested areas as well as a pleasant circular hike around the lake. Wildlife are prolific at a marsh area with an observation deck. 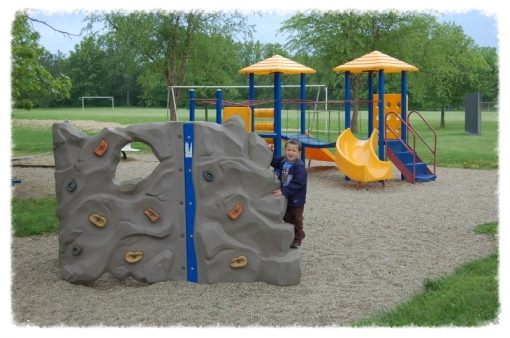 Picnic areas and playgrounds make it family friendly, with several picnic pavilions available for rent. A trailer camping area has electricity at each pad, dump station; and showers and restrooms; tent camping is also available in the picnic area. Hunters also enjoy the park in season. Spring turkey, archery deer, furbearer trapping, and squirrel hunting are available during the regulated seasons. Beaver Dam State Park offers trailer camping with electricity at each pad, dump station; and showers and restrooms; tent camping is also available in the picnic area. Sites are first come, first serve. Lake Williamson Christian Center is a private Christian conference center near Carlinville Lake that gives first priority to contracted conference groups. However, it does permit camping to the public during times groups are not scheduled. To check availability, or if you have questions, please call the Activities Center at (217) 854-4824. The center has 250 RV sites and approximately 50 tent sites. The nearby showers and restrooms are available for use, with laundry facilities also available. Carlinville Lake Campground is located on Lake #1 and open from April 1- October 31. The campground has RV and tent sites, a playground, 2 shower houses, a beach, recreation equipment for children, and more. For information, contact the lake office at 217-854-8931 or 217-854-4076.